Lara Yousif has a fixed rule in her life: “do your Job and never look behind”; therefore no obstacles could stop her from achieving her goals. In October 2018, this Christian woman was unanimously elected by Ninewa’s Alqush sub-district council to become the first female to assume the post of the 49th sub-district commissioner of Alqush. “When I nominated myself, some opposed my nomination, saying how a woman could assume this post. They said more other things and made up charges to stain my name, but my principle in life is doning my job without looking behind. Now I serve all in discriminatively, and when they come to me the feel ashamed”, said Lara. 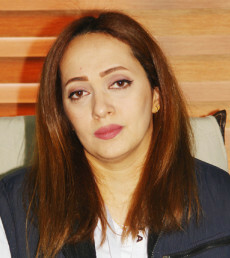 Lara Yousif Isaac, a Chaldean, was born in Baghdad in 1982. 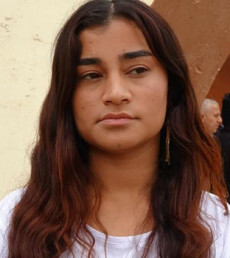 After she completed vocational school, she was admitted to the Hadba University’s college of business management and economy and graduated in 2006. 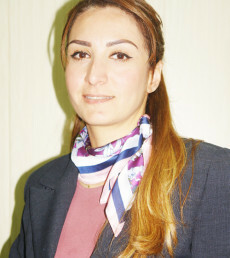 For the next three years, Lara had to stay at home unemployed; later she engaged in voluntary work teaching Assyrian language at Alqush intermediate and preparatory schools before she was appointed as a permanent teacher. 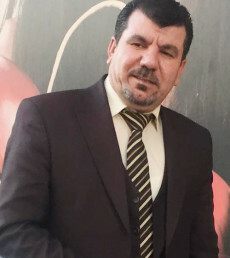 The emergence of the Islamic State (IS) and their advance into Ninewa represented a new challenge for Lara, who embarked on voluntary work assisting displaced families in cooperation with the Duhok governorate’s humanitarian affairs board. “I really wanted to serve the people. I don’t want to compare myself to other sub-district commissioners; I have my own work-plan which I try to carry out”, she said. Dealing with the devastating legacy of IS in the area was a major challenge facing Lara in her new mission. Alqush, a sub-district associated with Tlkef district is located 40 km north of Mosul and is comprised of 83 villages and 3 residential compounds. Before the emergence of IS in mid-2014, its predominantly-Christian population was estimated to be 62 thousand. Now it has dropped to 55 thousand as many of them fled the country. IS forced Christians to choose between three options: convert to Islam, pay the Jizya (a religious tax) or leave, otherwise they would have to face death. Eventually as many as 136,000 Christians wound up fleeing persecution and sought refuge in Kurdistan Region provinces or abroad. Lara Yousif is making concrete efforts to provide assistance for Alqush residents and erase the devastating legacy of war. For this aim she has met top officials and is keen to meet the PMs of Iraq and the Kurdistan Region. Alqush is regarded as a disputed territory according to the Iraqi constitution. The matter has been another challenge for Lara as the lingering status of Alqush has led to the town being neglected by both the federal government and the Kurdistan Regional government. “The projects being implemented here are mostly as a result of my relations with the organizations I used to work with as a volunteer. Now these relations are paying off”, says Lara Yousif.